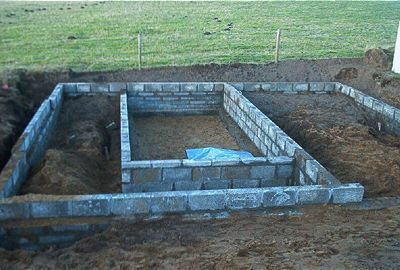 Site is tidied, conduit for electric supply cable installed and partial back-fill around external walls. 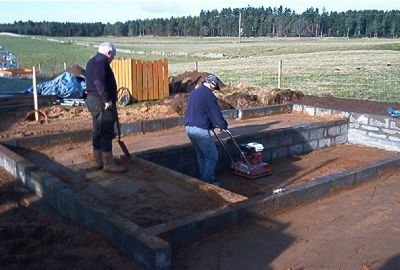 The digger returns to complete the back-filling . .
. . then Bennie levels out the floors with his 'Thwacker'. 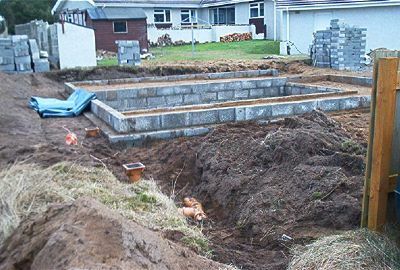 Fitted rainwater hoppers & drainage pipes to soakaway pit and then backfilled trenches. 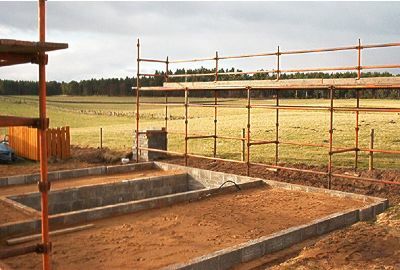 Scaffolding is erected front and back courtesy of Michael Banks, and the electricity supply cable arrived (we will try and get this in place over the weekend).